I have been a customer at The Search Source for just over 6 months now. The experience has helped grow my business primarily because of the one-on-one attention I get from the whole staff over there.The advantages of working with The Search Source is they have helped me, not only with search engine optimization, but [also] with customizing & designing my website. They help me with blog items, marketing items and the whole 9 yards. When we first started up with The Search Source, we saw results pretty immediately. One of the most beneficial things we have come across has been the call tracking. We get a monthly report and can go in at any time during the month and listen to the actual phone calls come in from our website. West Flamingo Animal Hospital has used The Search Source for our website needs for about 2 or 3 years now. One of the great things about our website is that they also do call tracking so there is a unique number that people can call in on. Not only can we track the number of calls, which we have gone from 25 calls a month when we first started to well over 250 a month on average! Two years ago we were looking for ways to increase our sales and we found out about The Search Source. Since then, we have seen an increase in sales of about 25% and an increase in calls per month to approximately 200. I have been really please with the service we have gotten! In the years that I have been in business, we’ve gone from spending tens of thousands of dollars in print ads to primarily all of our advertising being completed online. There are many different SEO companies in this market and The Search Source has been invaluable in helping us achieve the results we need with that online advertising. We use The Search Source for our SEO needs and we have are having great success! It’s getting to that point where you have need to have a Bachelor’s Degree in internet technology to be able to own a company. Having a partner like The Search Source drops that off to where you can just let them handle that for you and you can concentrate on other necessary items. Customer support has been awesome; they always give us our reports and let us know where we currently stand and what we need to do next. The call reporting not only shows us how our advertising investment is working, but it also has improved the way we run our practice. It is very reassuring investing in advertising that we know is actually working and helping us grow our practice. We have been a client of The Search Source for a year now and have seen our business transform during the time they have been running our internet marketing campaign. 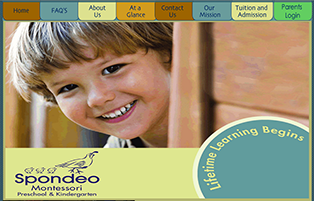 Enrollment for our school has never been so high and it is a direct result of our online marketing efforts. Our site traffic is up 120% and we are ranking on the first page of the search engines for over 30 keywords. We have discontinued all other forms of advertising for our business as we have found online advertising to be our most successful tool. The Search Source has surpassed our expectations in every way.